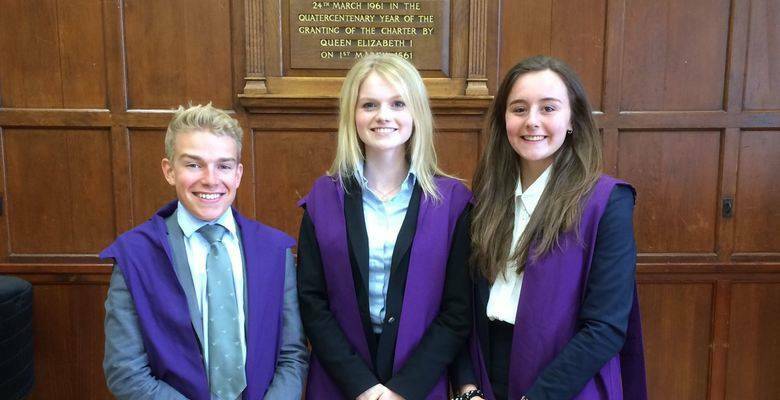 The School is pleased to announce the appointment of the prefect body for 2015-2016. Stephanie Semple will be the new School Captain, with the support of Vice-Captains Will Burden and Holly Munro. The three came through a very tough interview and selection process, and we are delighted that they will be taking over from this year’s excellent team of Lewis Wales, Lydia Cozens and Flo Blake-Parsons. They will be supported by a very able prefect body, and particularly by the Senior Prefects Fergus Ainsworth, Emily Bertin, Johnny Bridge, Niamh Cullinane, Hugo Delattre, Will Hird, Stephanie Martin, Kezia Milligan, Hazel Scurr, Sophia Shafiee, and William Vine. Congratulations to all of them, and to rest of the prefect body, too numerous to name here, on their appointments. We wish them every success in the vital roles they will be taking on on their return from AS level exams.